We are excited to be able to offer access to Luk Lake, formerly known as Coffee Cup Lake, a great wintertime and springtime rainbow trout destination and year ’round bass fishery. Luk Lake is a 65+ acre lake conveniently located just minutes from Interstate 5 in Corning, California, behind the Rolling Hills Casino. The lake’s varied shoreline is lined with vegetation and flanked by the rolling golden hillsides of the Central Valley. Its low-elevation location keeps the lake waters (and outside air temperatures) moderate and comfortable throughout the winter and spring, providing ideal habitat for rainbow trout until the water temperatures grow too warm in the summertime. All year, however, Luk Lake exemplifies ideal bass habitat. It’s not at all uncommon to land trophy sized bass, sunfish, and rainbow trout all in the same day at Luk Lake! Just a short drive (approximately 1/3 mile) – or an easy 5 minute stroll – away from the lake, nestled amid a grove of towering eucalyptus trees, is the Lodge at Luk Lake, a 5 bedroom, 2 bath ranch-style building featuring 11 beds (4 bedrooms with two twin beds each and one room with 3 twin beds), kitchen, and comfortable sitting room. The Lodge rents out for $300 a night for any size group (up to 12 people maximum), with a two-night minimum stay. 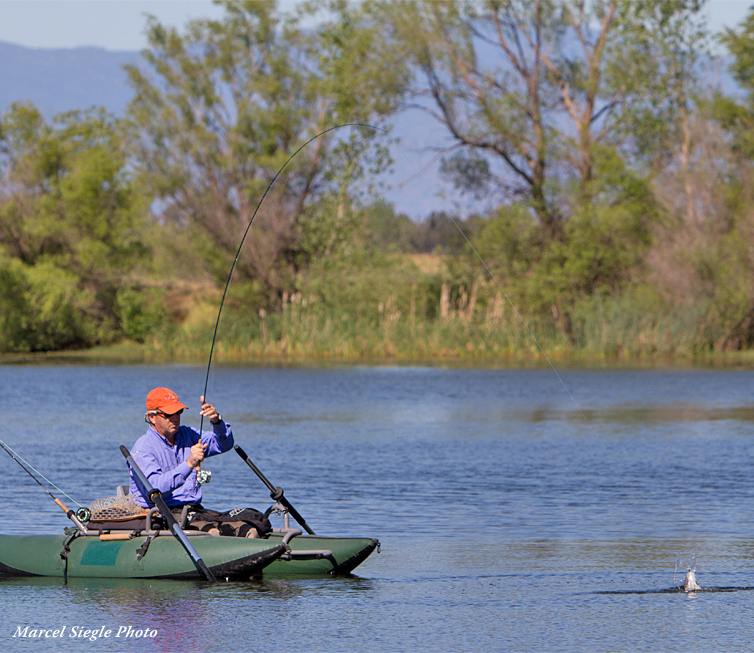 There is a boat launch for anglers who choose to use their own float tubes. You are also welcome to launch your own small boats (14 feet long or less) if you prefer. Gas motors are not allowed, but electric trolling motors are acceptable. There are also boats available to rent at the lake. Regular row-boats rent for $25 a day. 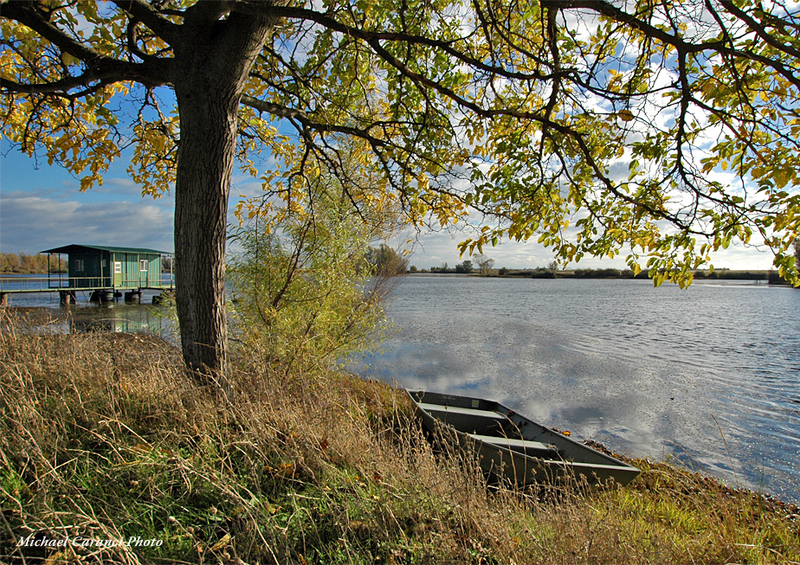 Luk Lake is over 65 acres in size, with numerous coves, peninsulas, and weedbeds. The thick shoreline weeds provide ample cover and vegetation for the lake’s resident bass and sunfish, and also provide food for cruising rainbow trout in the wintertime. Trout fishermen find that fishing small midge dry flies and midge clusters can be productive throughout the wintertime, as well as dead drifting midge patterns under indicators. Stripping small streamers and damselfly nymphs can be very productive, and also creates opportunities to catch bass. 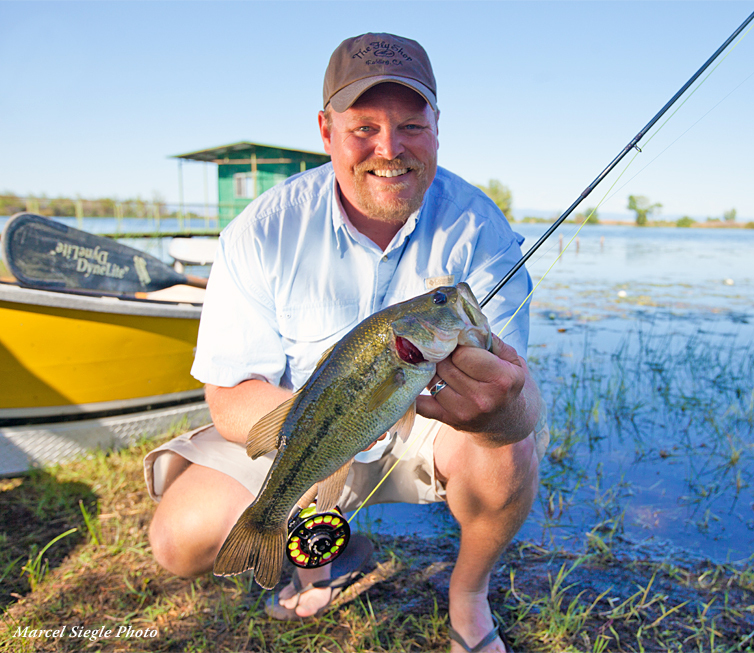 In the warmer months, fishing damselfly adults, dragonflies, frogs, mice, and bass poppers can all be productive for the lake’s bigger bass. 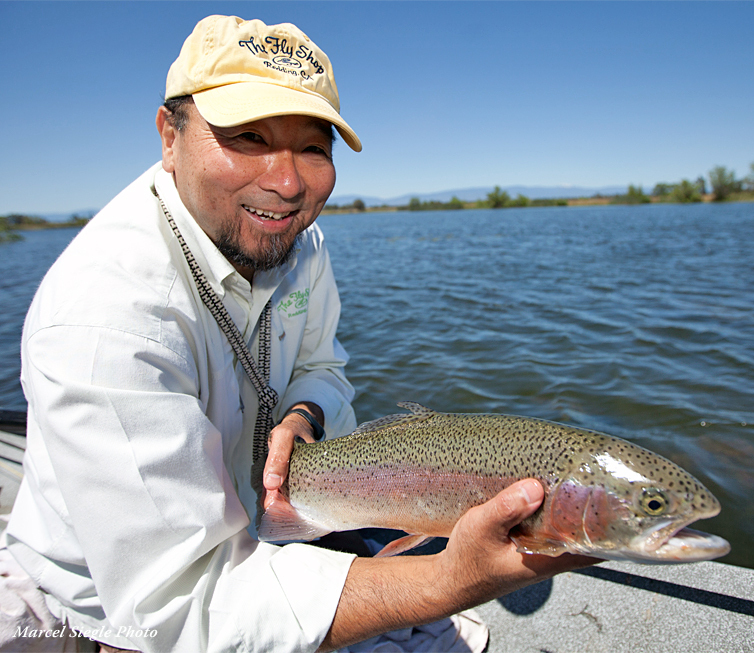 The Fly Shop® has a number of qualified, professional fly fishing guides who are familiar with the waters of Luk Lake. 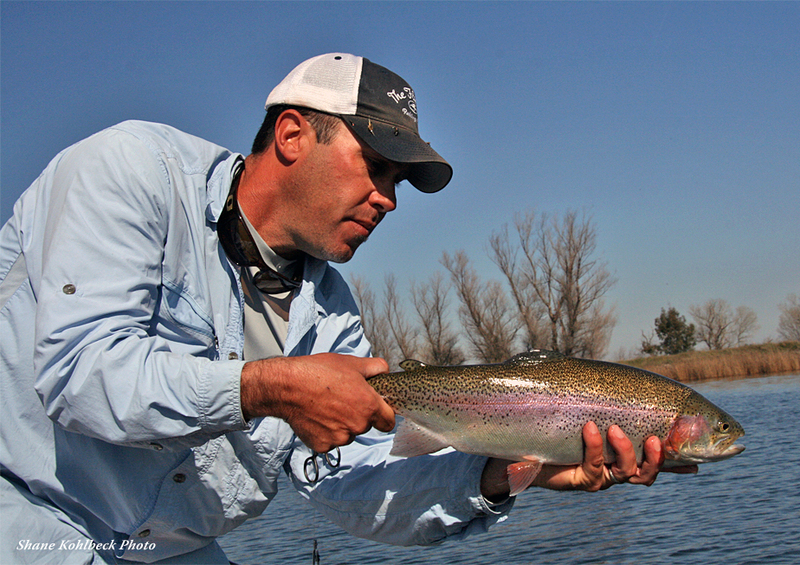 To arrange for guides, please contact The Fly Shop® at 800-669-3474. 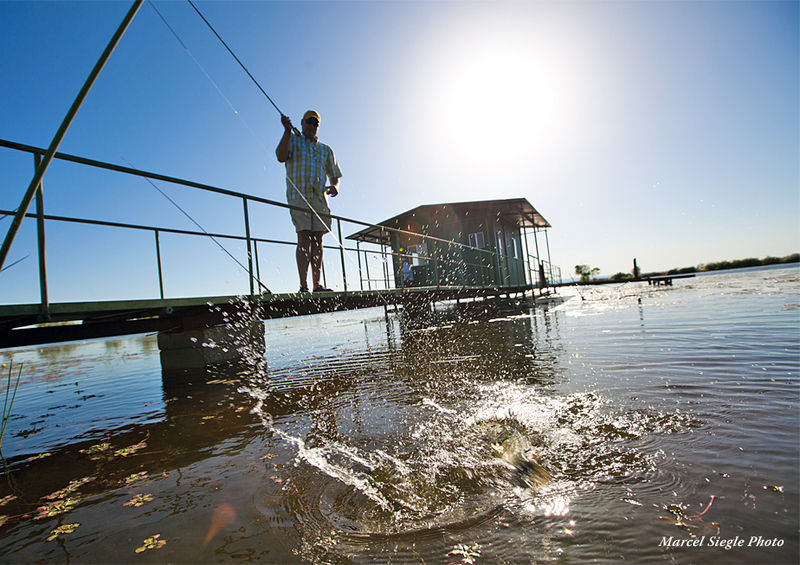 Included in your fishing package at Luk Lake is a full or half day of fishing at beautiful Luk Lake. 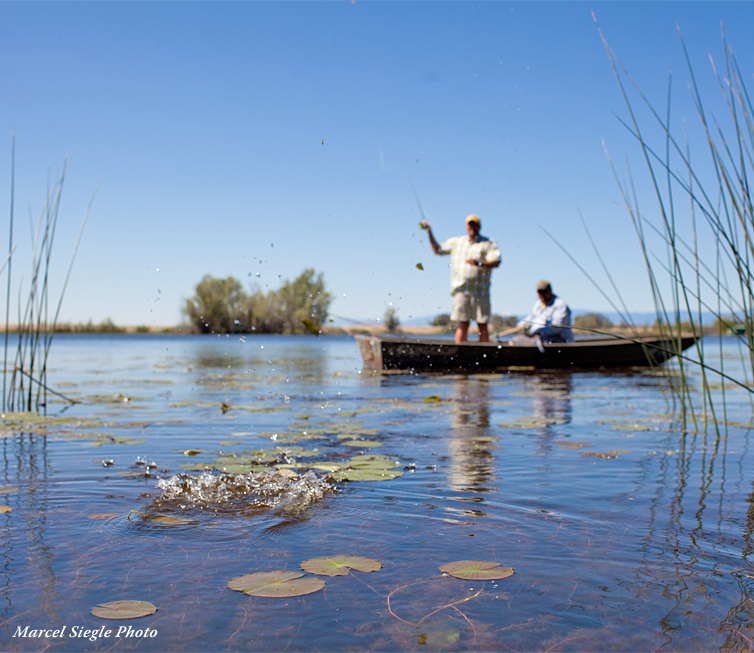 Not included in your fishing package at Luk Lake are CA fishing license, fly fishing equipment, boat rental (if needed), and items of a personal nature. Non-angling companions can have a wonderful time at Rolling Hills Casino. They offer golf on their true "links style" course, fine dining, gambling, arcade, hunting and clay shooting, and several other options. Certainly one of the best features of the fishery at Luk Lake is it's year 'round season. The Lake remains fishable and comfortable all winter long when most other stillwater destinations become too cold to access or fish. Spring is the transition time at Luk Lake, a time when the rainbow trout fishing remains good to great and the bass fishing begins to pick up. It's not at all uncommon during this time of year to catch both trophy rainbow trout and trophy-sized largemouth bass all in the same day! 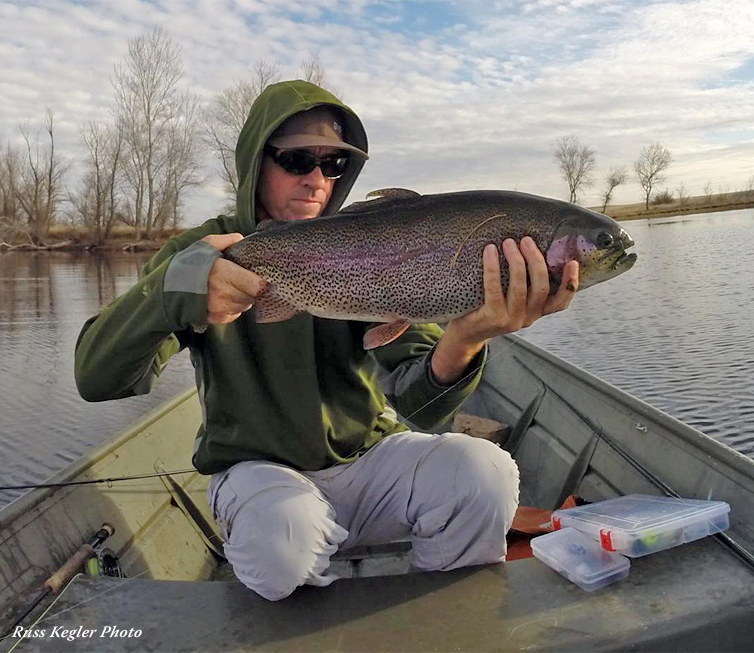 The weather begins to warm in the springtime, bringing on some of the lakes better hatches and creating more dry fly action for cruising trout. Emerging midges are still commonplace, but they also are frequently accompanied by hatches of Callibaetis mayflies, damselflies, and terrestrial insects such as ants and beetles. Suspending small midges or mayfly nymphs under indicators can still be very productive, while a slow strip on intermediate or sinking lines can be deadly with wet flies, damselfly nymphs, and leeches. 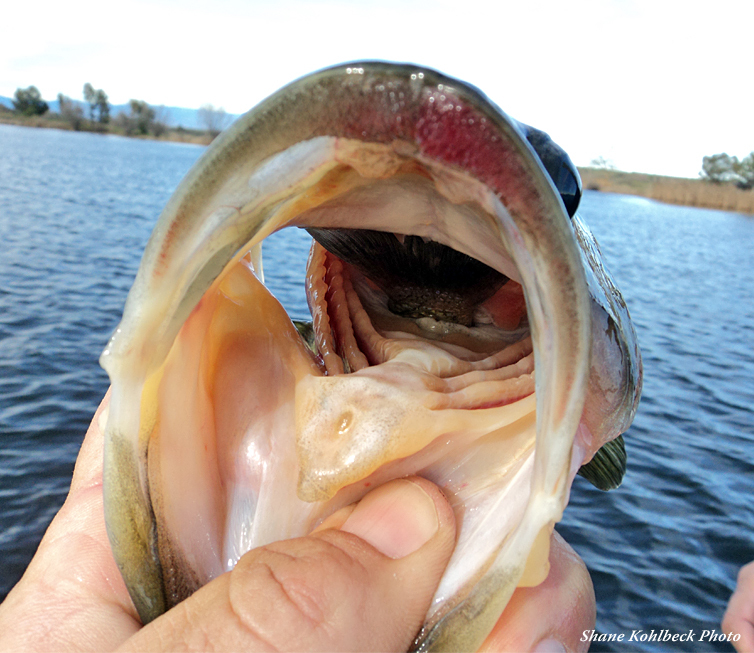 As water temperatures warm up a bit in the spring, Luk Lake's resident bass populations begin to become quite active. These bass are aggressive, predatory, and territorial fish, prone to attack surface patterns such as poppers, frogs, even mice. They'll also prey on other fishes, making streamer patterns and other typical bass flies effective. The bass generally call Luk Lake's shoreline weeds and structure home, and working both topwater and wet fly patterns along this aquatic vegetation will almost always result in some action. Summer in Northern California is known for its heat, and daytime highs at Luk Lake are no exception. The warm temperatures increase Luk Lake's water temperatures to unhealthy levels for the lake's rainbow trout, most of which try to hunker down at the bottom of the lake where there's enough oxygen to survive. We do not allow fishing for trout at Luk Lake in the summer time as it can be lethal for the fish. These warm water temperatures, however, are ideal for warmwater fish like bass, making the summer time a great time to target bass at Luk Lake. The best fishing can be early and late in the day, when outside air temperatures are more comfortable and the light is low on the lake. The warmer water makes the bass very aggressive, and early morning and late evening present ideal conditions for topwater bass fishing with poppers, frogs, and mice patterns. Dragonflies and damselflies also come out in force in the hot summer months, and the lake's bass are prone to attacking these flying insects throughout the day, as well as targeting both dragonfly and damselfly nymphs stripped subsurface on intermediate or floating lines. Sometimes in the middle of the day, the best techniques can be a slow stripped leech or worm pattern fished deep on the bottom on a full sinking line. Fall remains good for bass fishing at Luk Lake. Daytime temperatures are quite comfortable, and the fishing for Luk Lake's resident bass is consistent throughout the fall. The lake waters remain warm and unhealthy for trout, so we continue to refrain from targeting trout until the water temperatures drop in early November. The most consistent wintertime fishing is generally stripping leeches, woolly buggers, damselfly nymphs, or other streamer patterns on either floating, intermediate, or even full sinking lines. Still, it's not uncommon to observe cruising fish slurping emerging midges in the middle of the day, and Stillwater anglers with the patience to suspend midge larvae patterns under indicators frequently find this technique to be very effective. It takes less than an hour to drive to Luk Lake from Redding and only a couple of hours from the Bay Area. beds), kitchen, and comfortable sitting room. The Lodge rents out for $300 a night for any size group (up to 12 people maximum), with a two-night minimum stay. Normal arrival time is 3:00 P.M. or later on the day of arrival. Departure time is 11:00 A.M. or earlier on your last day at the lake. Someone will be on hand on the day of arrival to give you a key and a brief orientation of the Lodge. If you will be arriving late, please let us know ahead of time so that we can arrange your check-in. 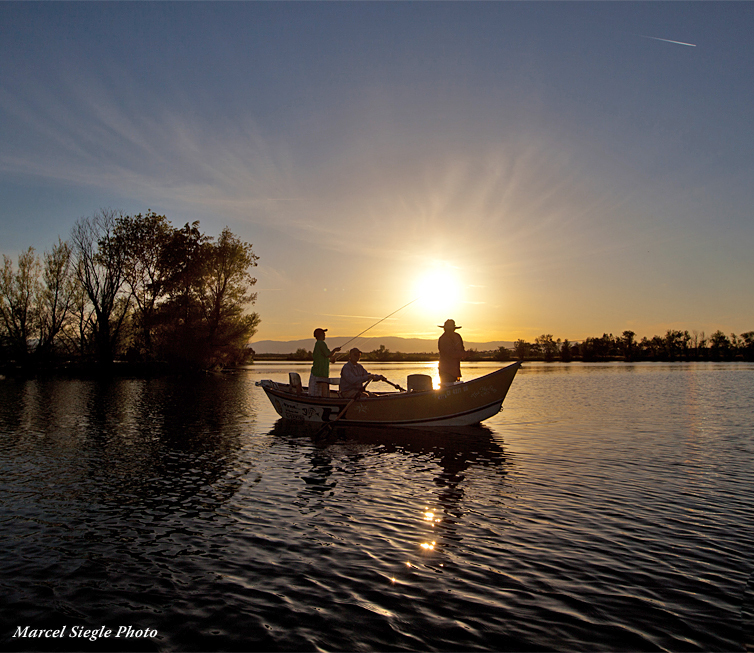 If there is no one fishing the lake before or after you, we can sometimes make adjustments to arrival and departure times, if coordinated ahead of time. Please park only in the area by the boathouse and boat launch, or in front of the Lodge. Take care not to park your vehicle in tall weeds as a hot exhaust system can start a fire. There is no land-line phone at the Lodge, or wireless internet connection. However, cell phones do work at Luk Lake and at the Lodge. 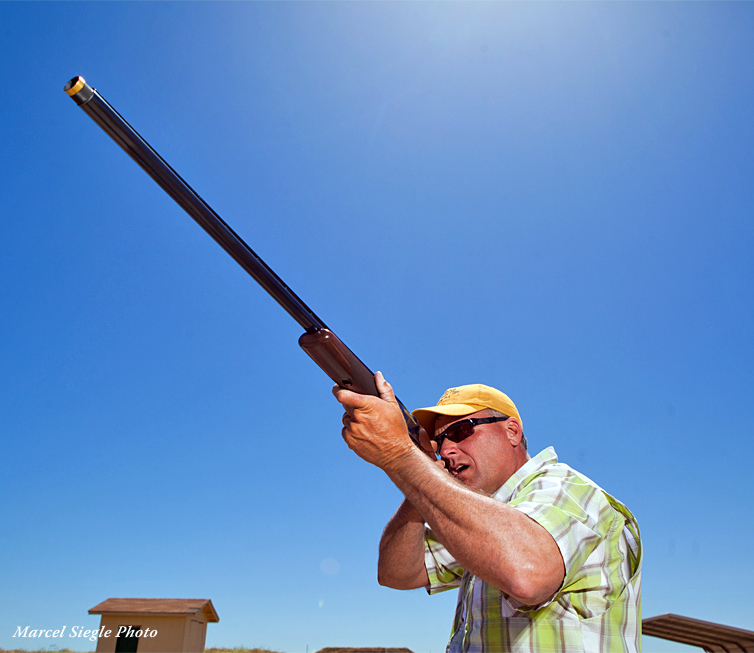 All Department of Fish and Game Regulations are to be strictly followed while using this property. 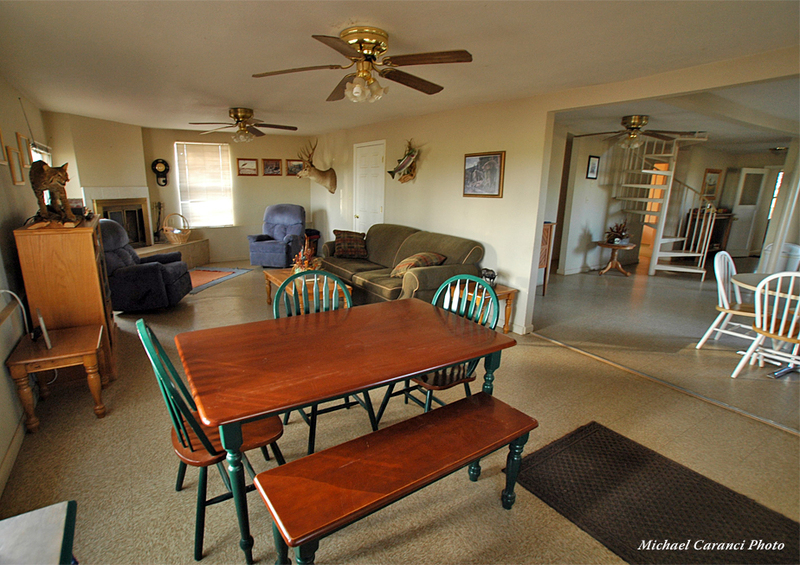 Pets are allowed on the property, but they are only allowed in the back mudroom at the Lodge. If pets are brought into any of the other Lodge rooms a substantial cleaning fee will be added to your bill. Remember, there is no smoking in the lodge. You are welcome to enjoy your smokes outside on the deck or down by the lake. However, please don't litter with those butts!. Upon leaving there is no need to strip the beds, just pull back the sheets and leave towels on hooks to dry. Please take a few moments to tidy up the kitchens before you leave. There are NO open fires on this property! If you need to grocery shop, there is a Safeway store in Corning located at 600 Edith St (530-824-2467). Getting to Luk Lake is easy from anywhere. It is located right off I-5 in Corning. After turning onto Barnham Avenue, Rolling Hills Casino will be on your right. Continue straight (south), past the casino, until the pavement turns to gravel and you see a gate with a sign next to it that reads, "Welcome Clear Creek Sports Club." If the gate is not open, you will be provided with the combination to the gate. Drive straight through on the gravel road. Please obey the 15 mph speed limit on the ranch roads. Stay on the main road for 1.8 miles to a fork in the road. Continue straight on the main road, over a small speed bump and past a gravel parking area on the right and a small pond on the left. Travel 1 more mile on the main road until you reach another fork in the road at a small green shack. The left fork will take you to the Lodge (white ranch-style building), and the right fork behind the green shack will take you the final 1/3 of a mile to the lake and an open field where the boathouse and boat launch are located. Travel south on I-5 for approximately 45-50 miles to the Liberal Avenue Offramp in Corning (Exit #628). Turn right onto Liberal Avenue, then take an immediate left onto Barnham Ave.